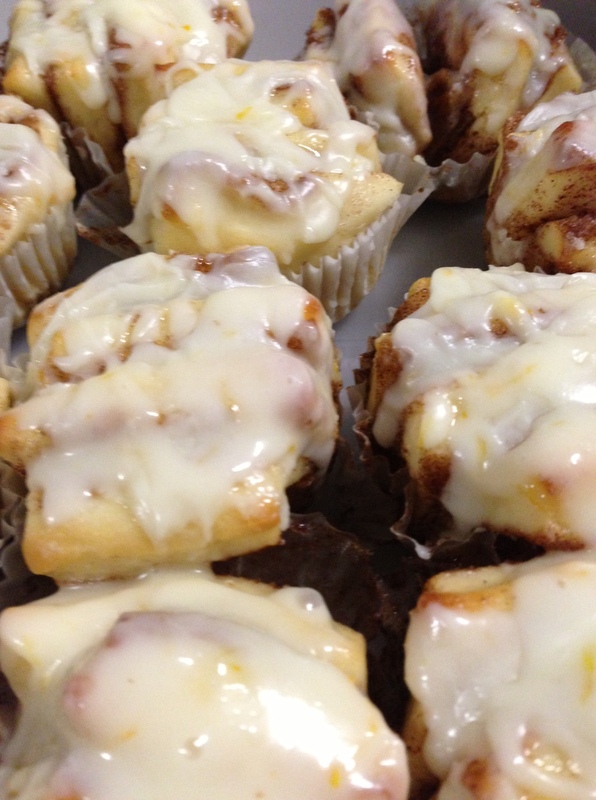 If you like cinnamon rolls………………. Today I took some treats to the office. They were gone in a matter of minutes. Cinnamon rolls with a twist. It’s your basic cinnamon roll, but instead of rolling the dough into a roll, you cut the dough into strips and then cut the strips into 1 1/2″ squares. Gosh darn it, I should have taken a picture of this process. But not to worry…very easy! These are really delicious, but also fun to eat as you pick apart the separate gooey messy layers of yum-mm-m-m-m. As if that isn’t enough, they are drizzled with a gooey glaze. 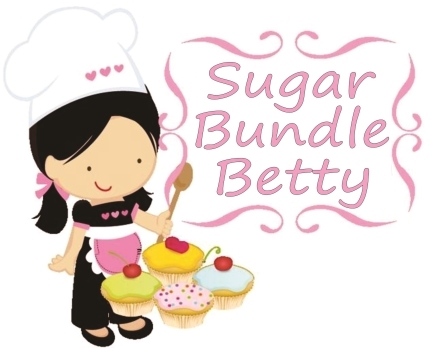 Aren’t you anxious to whip up a batch?? I know you are! I am so excited for you!!! Yay…..go bake..go now. heat the milk and butter just until the butter melts. Should be just warm. NOT TOO HOT or you will kill your yeast. Killing is not nice. Pour into a standing mixer with a paddle attachment. Add 1 cup of the flour, sugar, yeast and salt. Beat on low for 3 minutes, scraping sides of your bowl. Add 2 1/2 cups of flour. Beat on low till flour is all incorporated and your dough is sticky. If it’s too sticky, add 1 tablespoon of flour at a time until the dough starts to form a ball and pulls away from the sides of the bowl. MAKE SURE DOUGH IS NOT TOO STIFF. Turn dough onto a floured surface. Knead it until it’s smooth and stretchy like for about 7 minutes. It’s a good workout! Whew! Form into a smooth ball. Lightly butter a bowl and plop your ball into it. Move it around so it’s coated with butter. Cover with plastic wrap and then put a clean towel over it. Let it double in size in a draft free place, about 2 hours. In the mean time, mix up your filling. Mix all three ingredients together till it’s nice and soft. Set aside. 2 cups of powdered sugar and enough water or orange juice to make a nice ribbon like drizzle. Back to the dough: Punch down the center of the dough, move it onto a floured surface. Roll out into a 15×11 rectangle. Spread the filling all over the dough. Now, cut into 1 1/2″ strips. Then cut those strips the other way, so that you now have a bunch of 1 1/2″ squares. Line a muffin tin with paper muffin cups. Place 4 or 5 squares into each cup. I like to drizzle a bit of melted butter onto each cup and then sprinkle with some sugar. Cover the top with a piece of plastic wrap and the towel again. Let it rise for about 40 minutes, or until doubled in size. Heat oven to 365. Bake for about 15 minutes total. I turn the pan after 7 minutes. Let rest for 15 minutes, drizzle with glaze. 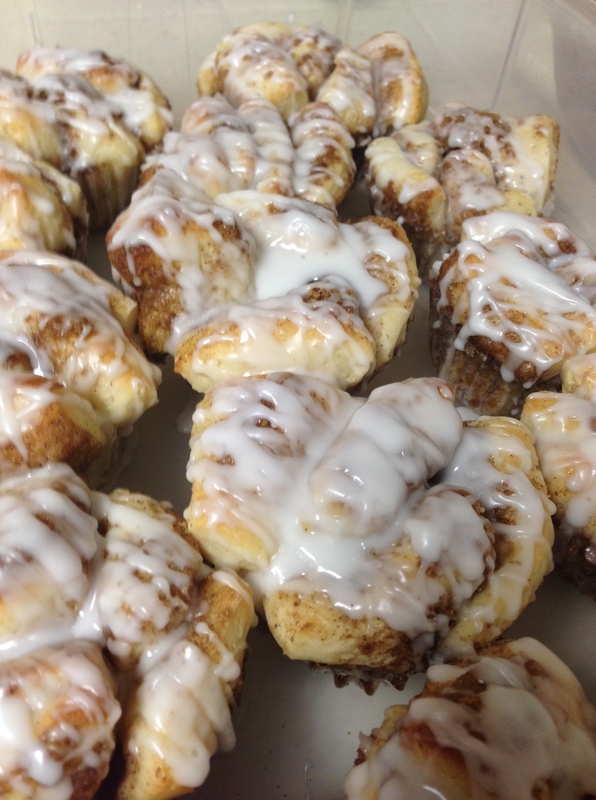 HOLY CINNAMON roly pull aparts….Delicious with a hot cup of coffee or tea or milk or ANYTHING!